Calling all gear hounds. Just because winter is over it doesn’t mean you can’t still shop for it. Now is the perfect time to buy your MittenKidz their next winter’s outdoor wear and score some savings! Where’s your favorite place to shop for winter wear? 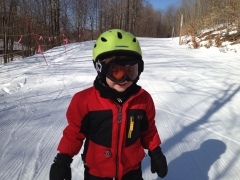 This entry was posted on April 6, 2012 by mittenkidz in Winter Fun and tagged Backcountry, Boyne, Boyne Country Sports, kids clothing, Michigan skiing, Moosejaw, REI, Toddler gear, winter jackets on sale.